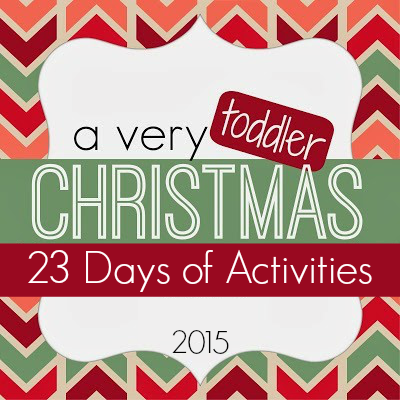 Tomorrow is the last day of our A Very Toddler Christmas series! We are so happy that so many people joined in and followed along over the last few weeks! Yesterday we made gingerbread people that were so fun and today we are creating our very own Elf Workshop Wrapping Station! 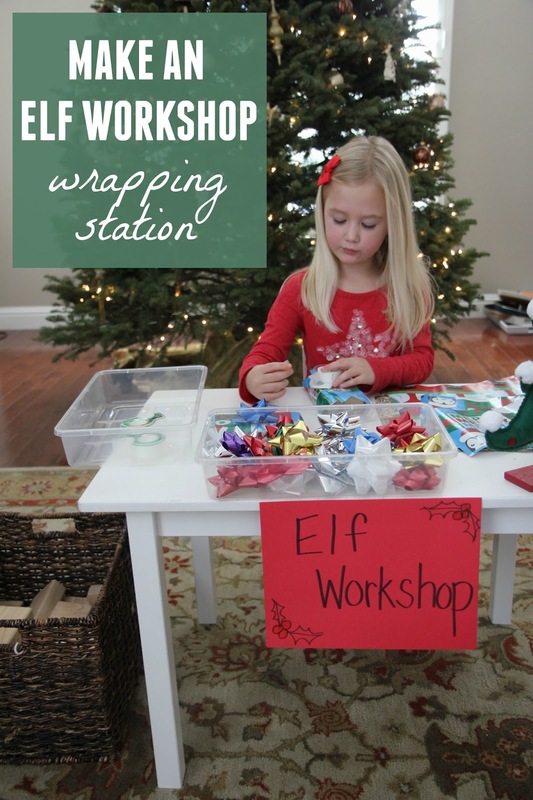 This is such a fun way to get kids involved as you are wrapping up Christmas presents yourself. You can check out another way that we have set it up in past years here. This is a simple pretend play activity to get kids having fun and into the Christmas spirit of giving! All three of my kids had fun with this one! 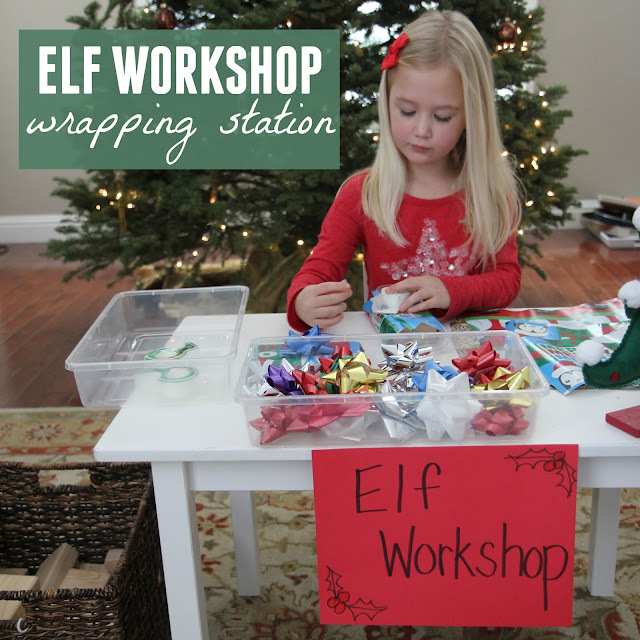 We usually spread out on the table and onto the floor when we set up our wrapping station. **This is an adult supervised activity since there are scissors involved! For the toddler wrapping station version I like to have some of the tape pre-cut into short pieces... otherwise they pull the tape out too long and then get frustrated when it gets twisted. I also love to have plain brown wrapping paper for toddlers so that they can decorate their presents with stickers. I tie the scissors to a ribbon and stick it to the table so that the toddler doesn't walk off with the scissors. Wrapping blocks is my favorite thing to do but my kids also loved wrapping up their favorite books and small toys. It can be tricky to pull the sticky pieces off the bows so often I will use double sided tape inside of having kids pull the sticky pieces off... or I will pull them halfway for them. Once we were done wrapping up presents the kids thought it was so funny to stick them under the Christmas tree to trick their dad. Have you ever set up a pretend play wrapping station? This is one of our favorite annual traditions a few days before Christmas. Not only is it fun, but the cutting and sticking is a great fine motor activity! If you've missed any of our other Toddler Christmas series posts so far you can find all of the A Very Toddler Christmas series posts HERE. Make sure to stop by tomorrow for our last activity of this year! If you have a moment, take a second and comment to let us know your favorite activity that we shared this year too! What a fun activity for little ones, and useful, too, as they learn how to wrap gifts.